We have been slacking hard of late, sorry about that. Leave it to my mother to end my procrastination. That’s right kids, my mother requested that I blog this song, she's cooler than your mom… eat it. Theophilus London’s debut album is 9 days away from dropping, I think it’s about time we caught up with what he’s been doing. A few weeks ago the Brooklyn MC released his lead single off the album Last Name London and its pretty damn good. As with every song he does, it has that throwback feel to it that makes his music so entertaining. But my mom didn’t ask me to post that one, she’s got the RAC bug. 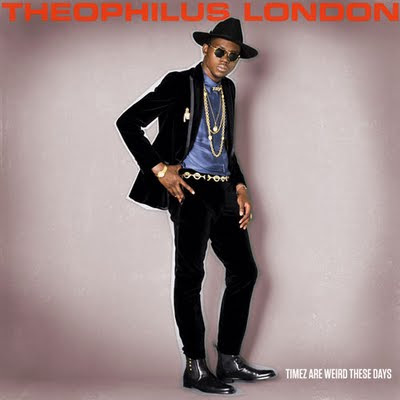 In a Kanye-esque move, Theophilus has been releasing free music leading up to the impending album drop on the 19th. One of these teasers is a remix of Why Even Try ft. Sara Quin by the king of the remix – RAC. What more can we really say about RAC that we haven’t already said on this site? You know what to expect, and you know you want to listen to it, so just go ahead… you have my permission.